This Keys can be activating and play only from RU/CISS Region. Alsow ingame working only Russian Language. If you see black screen and hear music, but game not proceed, you need switch it to Russian Language on steam. The battle for the planet Cybertron is entering a crucial phase. Cruel Decepticons and their opposing Autobots are preparing for the final blow, which should put the final point in a protracted conflict. Become a witness and a direct participant in the greatest events in the history of the epic saga of Transformers, driving the most popular intelligent machines of all time. The new gaming blockbuster awaits an unprecedented scale of destruction. Before you open the dark pages of the extinction of an ancient civilization, mired in the horrors of a war of annihilation. Use Transformers' unique abilities to emerge victorious from the battle with the unbreakable form of T-Rex from Smelczak and the legendary Action Games. Destroy enemies in an exciting single-player campaign dedicated to both sides of the conflict or challenge your opponents in a multiplayer game! The unprecedented scale of destruction will make a unique impression on the player. The unique abilities of transformers will be very useful in a fierce fight. 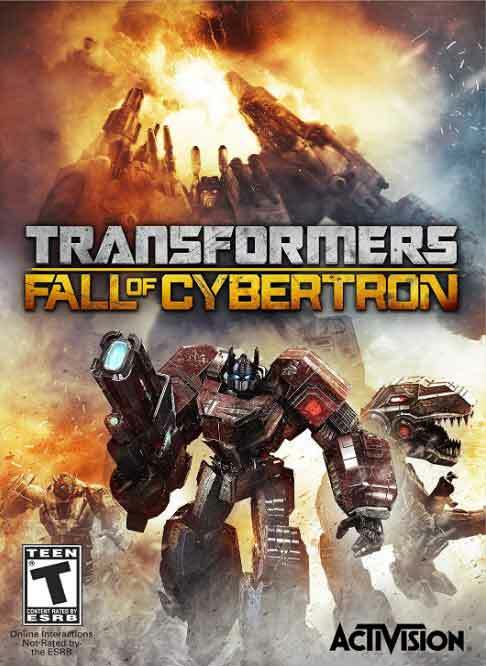 Take part in one of the greatest events of the epic saga of Transformers. Fight with other players in the network game mode. 3. Go to the "My Games" section and select "Activate via Steam ...", read and accept the Steam Subscriber Agreement and enter the key received immediately after the payment. 4. After activating the game appear in the list of games and you can download it from steam. The installation process (download) takes about 15-50 minutes (depending on the available Internet channel).